Pankaj is Co-Founder and VP of Data, Engineering at Zendrive, a company committed to making roads safer using data and analytics. Under his leadership Zendrive has developed world’s largest platform for driver behavior analysis serving millions of users and covering over 150B miles of driving data. Pankaj has 18+ years of experience leading teams and building core technology products that involve massive amounts of data. At WalmartLabs as director of engineering he built tools for social media analysis including a engine for real time analysis of 100B tweets. During his role as Engineering Manager at Google, Pankaj worked on Google’s Speech Recognition engine and Google Compute Engine. While at Google he also built the first ever English/Hindi bilingual Text to Speech (TTS) system. He bootstrapped and then scaled the voice search to many languages. Early in his career he held a research position at Bell Labs specializing in networking. A graduate of Indian Institute of Science, Pankaj is author of several research papers in premier IEEE conferences and has 30 patents issued from USPTO. Pankaj is an avid reader, a marathon runner a enjoys spending time with his kids. Every year over 1.3M people die on roads. In recent years the fatality and collisions rates have only gone up, reversing a several decade long downward trend. So even while cars are becoming safer, this recent increase is largely attributed to distraction caused by use of mobile phones while driving. Zendrive, a company committed to making roads safer, is using the same smartphone data to understand unsafe driving behaviors like aggression, adherence to rules of the road and distraction. Using sophisticated machine learning techniques and massive amount of data (150B miles of data over 50M users) Zendrive has built world’s leading driving behavior analysis platform that has already helped save hundreds of lives. This data and analysis also find wide variety of usage in insurance, city planning and driver coaching. 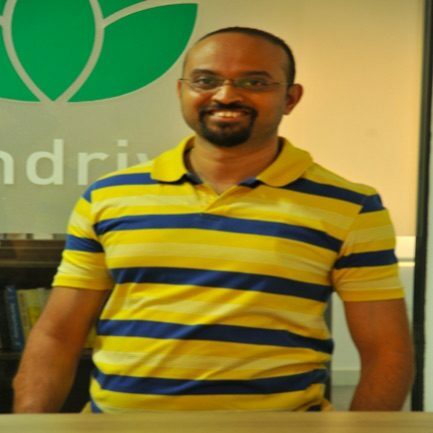 In his talk Pankaj Risbood, Co-Founder and VP Data, Engineering at Zendrive will take you on a fascinating journey of measuring driving behavior, quantifying risk and creating incentives for drivers to adopt safer driving habits.